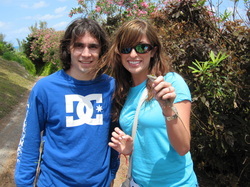 Matt Macias and Lex Lister were fearless lizard wranglers! 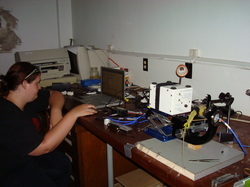 Apparatus used to measure habitat light. 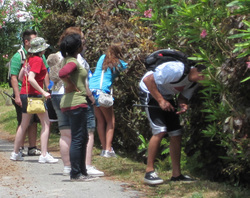 Students taking a reflectance reading from a lizard dewlap. 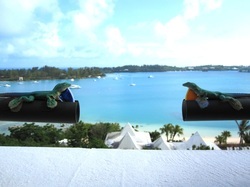 Some of our lizard robots enjoying the view from our balcony! 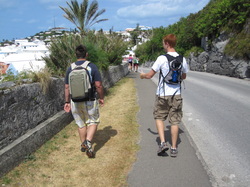 Walking to catch a ferry to another part of the island. 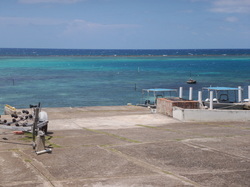 Dock at the Discovery Bay Marine Lab. 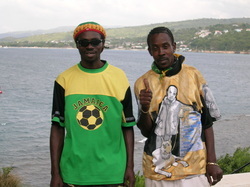 Locals who helped us locate lizards. 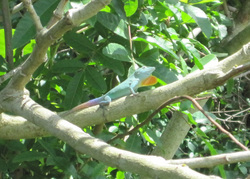 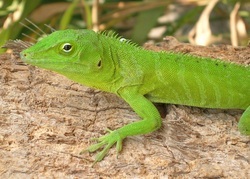 The Jamaican giant anole, Anolis garmani. 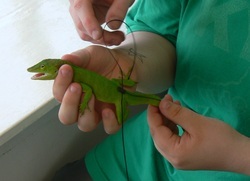 Attaching a radio transmitter to Anolis garmani. 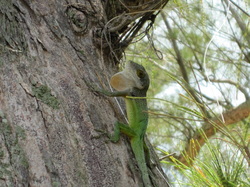 FSC student Alison Tamasi taking spectral readings of the Anolis garmani dewlap. 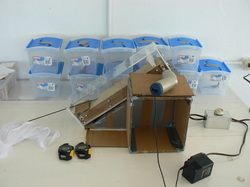 Lizard treadmill, with lizards in containers cued up for endurance tests. 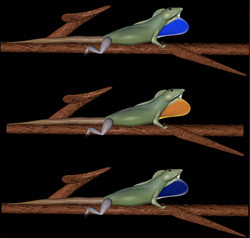 Animated video stimuli used to test for species recognition. 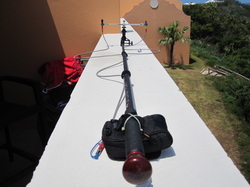 Setup used for playing back and recording responses to the lizard robot (background).